It is the year 2018 and we are already halfway through it. (crazy, right?) With that comes innovation, new technology, and smart cars. Check out the list below of useful resources to keep up with the evolution and learn how to incident-proof your driving skills. For those of us that have absolutely ZERO special awareness this is a life saver. Going from using our eyes when backing out of a parking space to using our eyes and ears is a game changer. We are even advanced enough to install back up cameras into our vehicles. By that I mean, actually take the time to learn how to handle a car. Let’s admit one crucial truth. We are not all born to drive. Period. Some of us are more natural than others. Taking time to (re)learn the basics is essential to keeping your driving skills on par. Even if you don’t own a car, ask someone who does! With the emergence of automated self-driving cars, it can be extremely tempting to push on the autopilot and sit back and relax. I know… this doesn’t mean, it’s time to take a nap. Autopilot’s and cruise control systems still require minimal amounts of concentration. Your Handy Dandy Door Protector! Not like our sweet pocket protectors. These protectors save you from opening your door to wide and scratching a neighboring vehicle. Not ALL cars have this wallet-saving feature and should be included in all cars. Now we don’t even have to insert a key into our cars to get the engine roaring. With this new futuristic feature, the issue of dropping your keys and knocking over a bunch of “important things” should never happen again. Yes, ladies and gentlemen. The era of automatic braking is here. Though fairly new, these systems are designed to engage your brakes in situations where attention was most likely lacking. Technology has become so addicting that we just literally can’t seem to put the phones down that companies have created apps to prevent us from getting in accidents due to distractions. Now when people are having the urge to text, these apps will not allow you to do so unless at a complete stop. Wouldn’t it be an amazing world if people would just look at the road when they drove? I know. No one wants to show the enemy our next move. But you would be surprised how much safer this practice can make your driving experience. For yourself, but most importantly others! Just like in relationships, it’s all about communication. In most cases we “think” we are good at eating and driving, but this is just another excuse for allowing distracted driving behavior. When you get your food (and I know you may be starving) gently place it in the back seat and crack your windows. That’s in order to eliminate any temptation’s you may have. When we say, “Don’t push the red button.” It’s for a very good reason, I promise. Best used in long stretches of roads or in freeways with heavy congestion, this system will brake heavily if it notices a sudden stop ahead. By using sensors and a radar, this technology is able to virtually lock-on to the car ahead and make sure you are safe from those idiots out there. As a relatively new feature, you can expect to see this on most new cars today. We don’t all have computer like reflexes. Let’s face the truth. An AEB system can detect an oncoming collision much faster than a human. Even some IIHS data shows rear-end collisions fall by 50% on vehicles with AEB. The brakes are already being applied before you can even place your foot on the brake. Automatic headlights and tail lights take the gold medal on this one. The amount of people we see driving at night with no lights is frightening. You would think that if its dark outside people would turn on their lights, right? Well, most of us would, but sometimes due to our busy lives we just can simply forget. This idiot-proofing addition though an old one, it’s a game-changer. A lot of people don’t take the time to learn this skill because its kind scary and let’s admit it…it can be pretty difficult. Fortunately, it only takes a sometime and dedication and before you know it. You will be parking perfectly. Look online, ask a friend or a parent for help if you need to. This skill can open up a wide range of parking spots that you thought were never possible. Let’s bring it back to basics. With the help of useful innovations in technology performing a proper lane merging should pose as no challenge. Not only are you becoming a safer driver yourself, but you are also keeping those around safe too! After passing our driving test, it can be easy to forget what you learned and pick up bad habits. For new and veteran drivers, this concept applies. Being able to hear when driving plays a giant factor in awareness and reactiveness. If you can’t hear someone else’s car horn or even worse, your own you could be running the risk of being totally unaware of a potentially dangerous situation. The classic bumper sticker. This one they teach you in school as well, but for some reason it doesn’t seem to stick. Please, remember to give adequate distance for you and your car to stop in case of any sudden braking. I know, it sounds unheard of, but these rules are set in place for your safety! Don’t ride someone else’s back bumper. It is rude and just plain dangerous for yourself and those around you. The roads are littered with random immovable objects. They could be hiding in your blind spot or in a parking garage. Remember, to be spatially aware of anything that can damage your car like telephone poles, light posts and trees. Whatever you do, do not fall into their trap. The best thing you can do in this situation is ignore them, focus on your driving and let them pass or make whatever evasive maneuver they are planning. Just focus on the road ahead of you because at any given time an accident can happen if you lose focus of the road. If 3 cars were the recommended amount of space to give between cars…give 6. Carefully take the curves and bends of the road. If you cannot see the road or conditions worsen, it wouldn’t be a bad idea to pull off the road somewhere safe to let the storm pass. Any behavior that suggests that person is incapable of following the rules of the road and has a lack of awareness could be ground for drunk driving. If you ever see someone driving under the influence make sure you take the time to call 9-1-1. You could be saving one or many other people’s lives. Green Light Means Check Then Go! This one sounds like it could be a bit misleading. But the concept is that sometimes people run red lights. Accidents that were caused by red-light runners could have easily been avoided if drivers were in the habit of checking before going on a green. This simple one second check could save your life when you least expect it. Never give another driver’s the benefit of the doubt. Always check your six! Not only would this help with your overall knowledge of your vehicle, this would also prompt you to be aware of the maintenance that must be kept keeping your car alive. Cars have this mysterious power of just breaking down in the most inconvenient places. You never know when you are going to need to pull out the mechanic hat. Which brings me to my next point. This is a no-brainer, right? I know. Tires dull down and pop on you. Oil needs to be changed to avoid burning your engine, lights need to be changed and batteries. The most dangerous one to look out for is tires and brakes. We wouldn’t want our tires or brakes going out on us at high speeds. That sounds like a recipe for disaster. 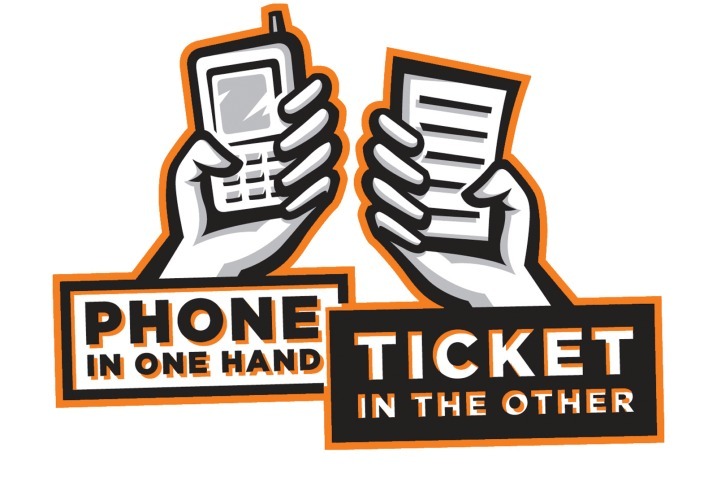 If you absolutely have to pick up your phone while driving, please pull over or use a hands-free device. Or risk pulling out your phone to call a car accident lawyer. This is when we drop our guards. Each decision becomes less critical. Each day, week, and year that goes on we become more comfortable with our driving and those around us. It is easy to forget about all those safety rules after you become such a veteran. But even the veterans can mess up and they do just a like a novice. What’s different is the level of focus and attention to the safety laws. I’m just joking! Kind of. We all want to have fun. But is having fun worth the harm you could cause to someone? Absolutely not. Driving is a beautiful experience where we get to be away from everything. It gives us the power to travel and get to places whenever we want and for others it can even act as a home. The main thing to takeaway and remind yourself of when driving a car is this, “You are driving a 2-ton chunk of metal at 60 miles per hour through space.” Now that sounds pretty cool, but also scary. Drive safe and have fun out there! Driving Under The Influence of Electronics: Is Washington’s Distracted Driving Law Saving Lives?